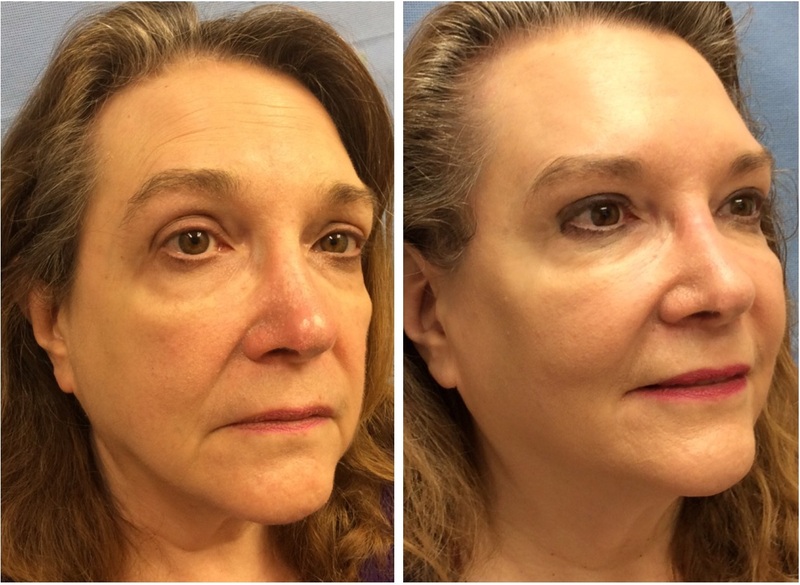 Dr. Lisa Bunin has worked with the developers of Radiesse® to create her own natural looking lift using Radiesse®. 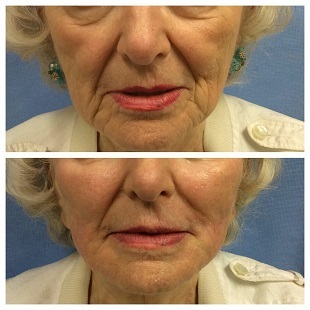 It’s called Voluma-R Lift©, a non-surgical alternative to a face lift using the volume filler, Radiesse®. 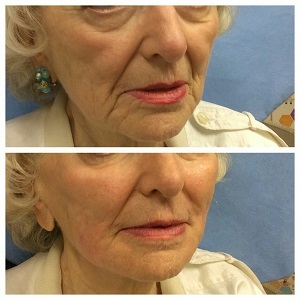 Sometimes Voluma-R Lift© is combined with other thicker hyaluronic acid fillers such as Voluma® and Restylane® Lyft to get the best results. 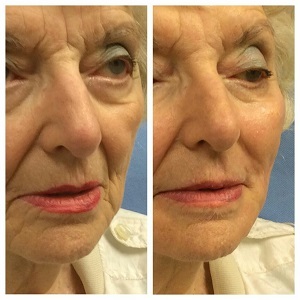 This woman wanted to look a little less tired but didn’t want to look”done”, and wanted to start slowly. 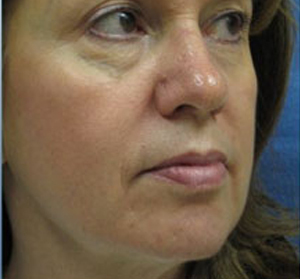 Adding volume to the mid face gives an immediate lift and restores a more heart-shaped face. 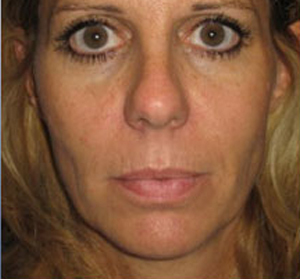 It also shortens the lower eyelid bags, and softens her look. 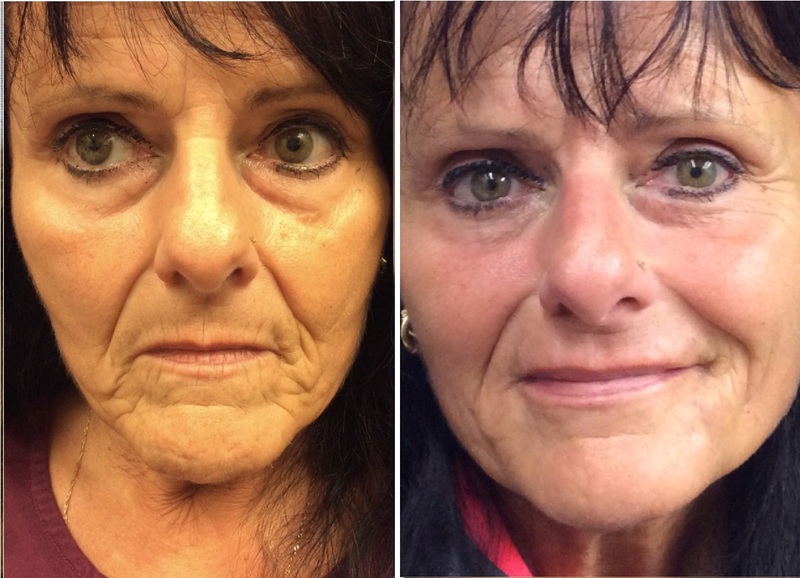 Dr. Bunin created the Voluma-R lift in 2006, a mid face lift done internally without bruising, and here the patient is immediately after. 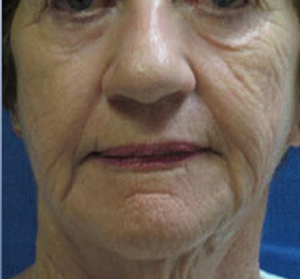 As you age, gravity changes the way the face look. 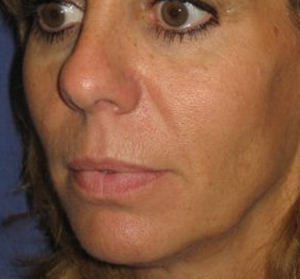 There is a “bulge” near the mouth, split of malar fat pad with larger lower eyelid “bag”, flattening and falling of cheeks. 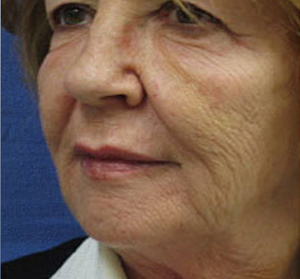 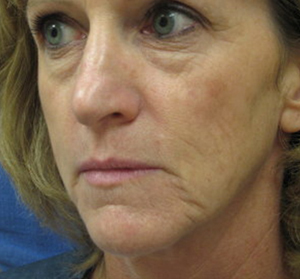 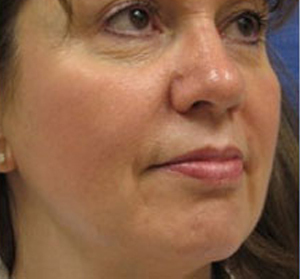 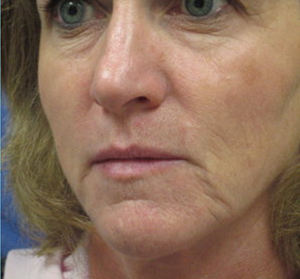 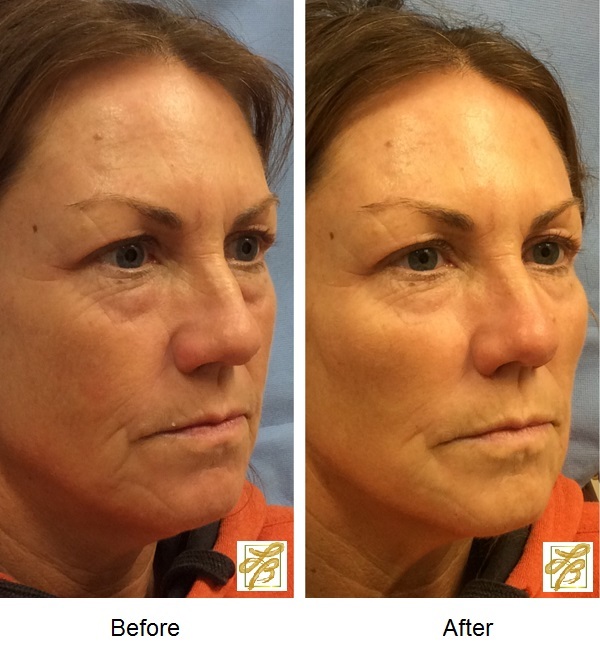 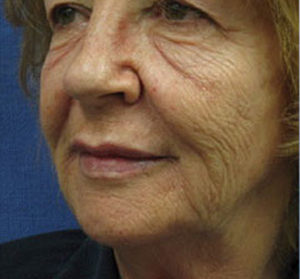 After the Voluma-R Lift© notice patients face appears fuller, fat pads are reduced, wrinkles and folds soften. 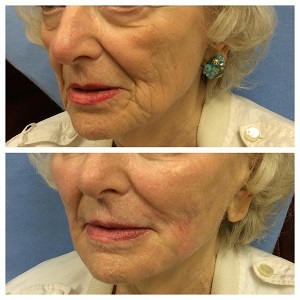 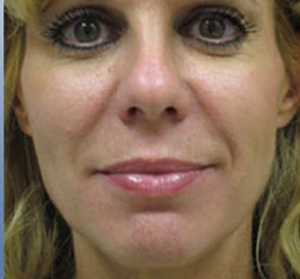 This patient had a combination of injectables applied to her cheeks, around the mouth and jaw line to balance her features. 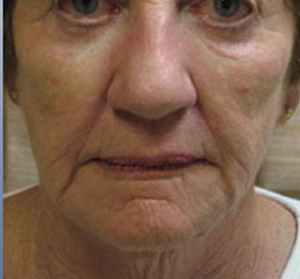 She looks much younger and is very happy with her results.